25@365: Day 087 - What if no one's watching? 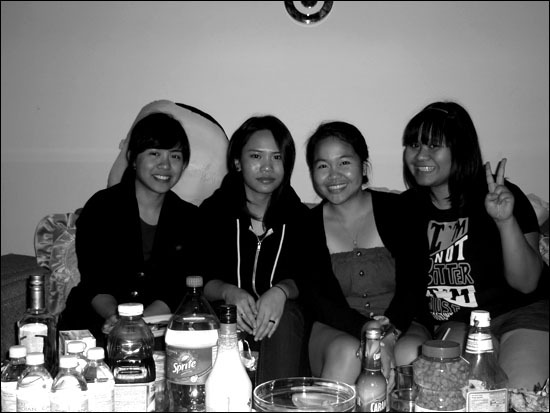 AUGUST 28, 2010 – Let’s drink on a Saturday Night! I haven’t seen Cheree in a while so I was happy that she dropped by to my place to hang out and of course, drink! Sybil joined us later and so was Jona, but she had to leave early as she just got back from a family trip from Hecla.